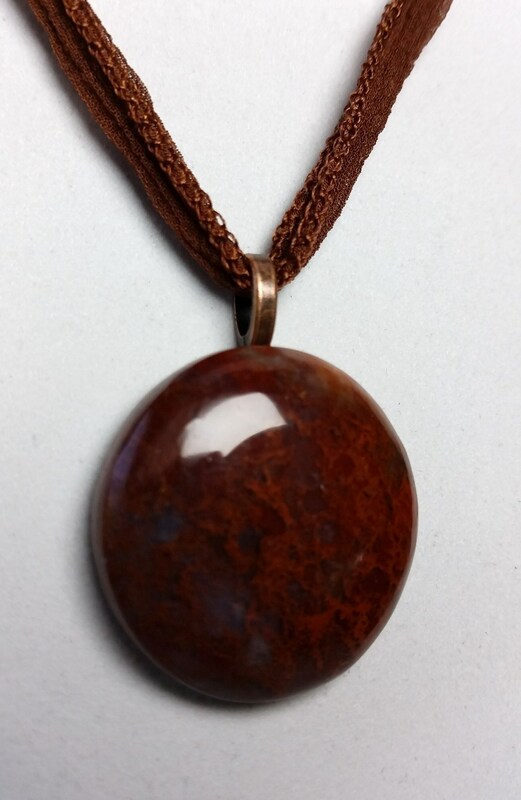 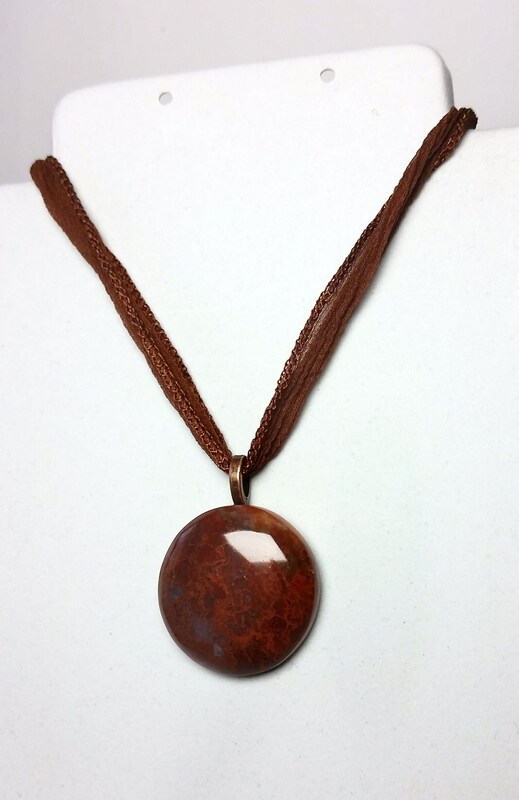 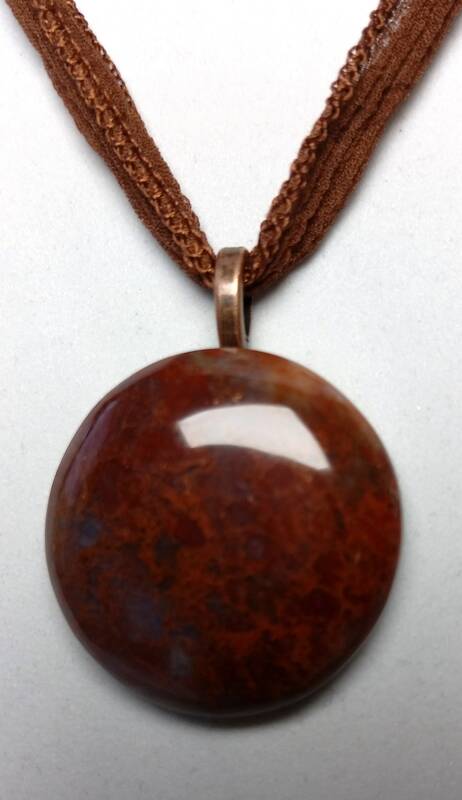 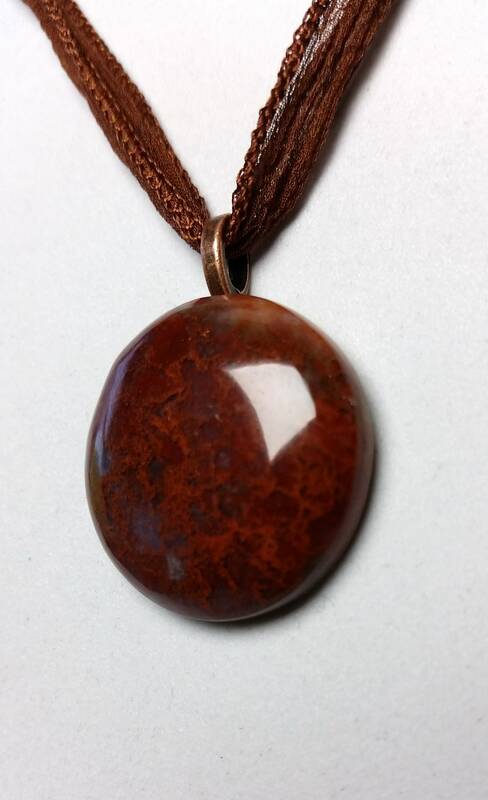 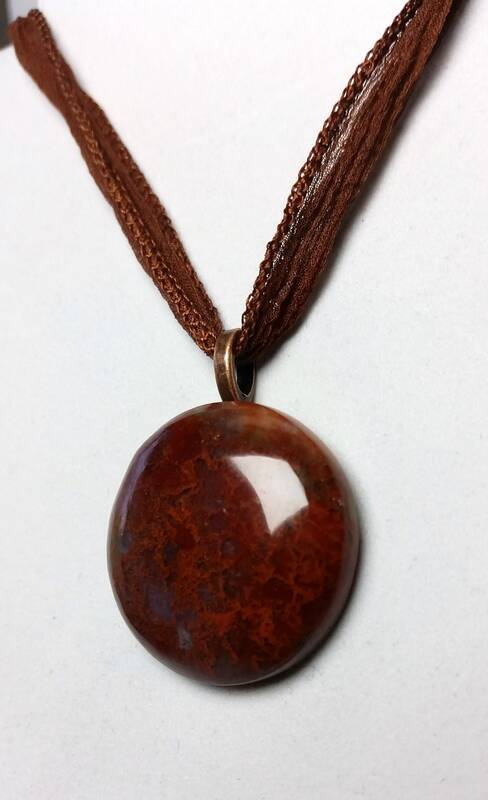 Sienna colored agate that was once dinosaur bone was cut, shaped and polished to make this beautiful circular brown cabochon pendant. 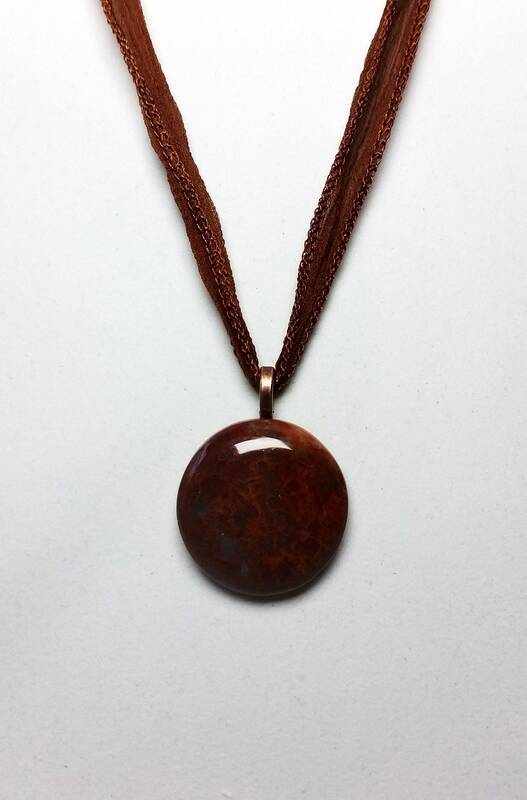 The soft chocolate fairy silk necklace is adjustable length, depending on where you tie the bow. 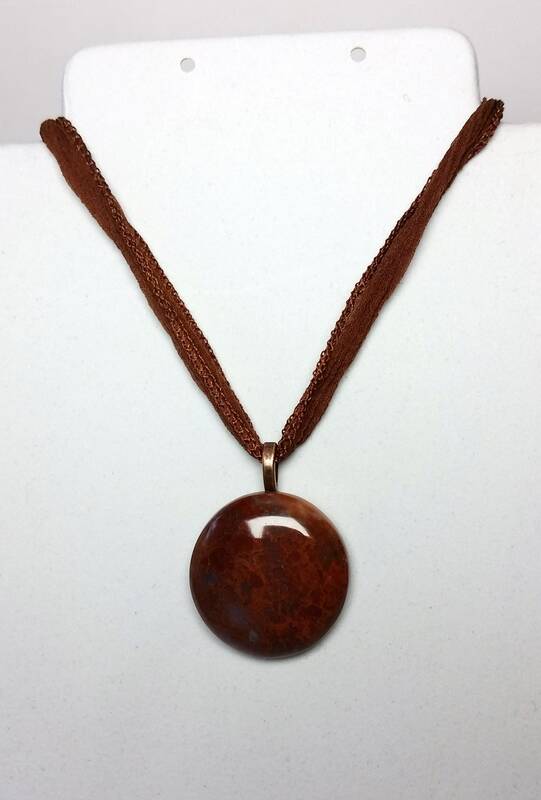 The total length of the fairy ribbon is about 38 inches, so this can be worn as a choker up to a 20 + inch necklace. 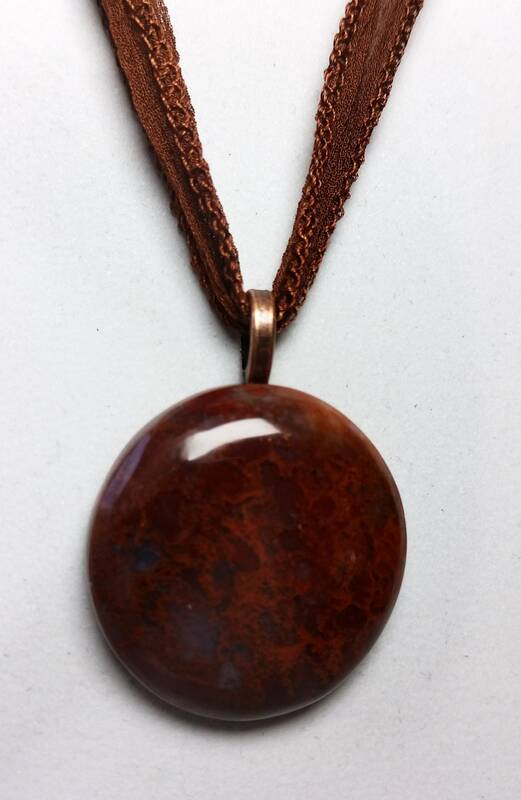 The bail is antique copper.